NH Investment & Securities Co. Ltd. was chosen as the preferred buyer for a landmark Seoul office building, according to the South Korean brokerage company, in a transaction valued at 985 billion won ($873 million). Singapore-based Alpha Investment Partners has put 132,806-square-meter Seoul Square on the block, seven years after its acquisition from Morgan Stanley for about 800 billion won. “We think it’s competitive because its vacancy rate is very low and the yield in the 6% range is 1~2% points higher than that of top-grade buildings in southern Seoul,” an NH Investment source told the Korean Investors on Sept. 12, referring to the 23-story building. Currently, the vacancy rate of the property is 2.5% with average 10 years of remaining lease term. The selling price is 24.5 million won ($21,710) per 3.3 square meters, totaling 985 billion won ($873 million), according to industry sources. The per-unit price is below the 30.5 million won paid by an NH Investment-sponsored REIT a few months ago to buy an 81,117-square meter Samsung office building in southern Seoul for 748.4 billion won. 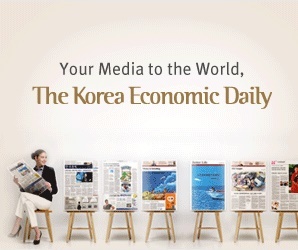 It marked the highest per-unit price in South Korean property transactions. Including additional expenses, NH Investment is expected to spend 1 trillion won on the purchase of Seoul Square. It will pour 420 billion won to buy the entire equity interest in the building located across Seoul railway station and borrow 580 billion won from financial institutions. Of the total equity interest, it plans to sell about 10% to Keppel Corporation, a Singapore-based real estate investment firm and sell down another 90% to other domestic institutional investors. Keppel is launching a real estate fund for the Seoul Square deal, after it recently won an asset management license from South Korea. The exclusive negation period for NH Investment ends in November. WeWork, a US shared office provider, occupies four floors of Seoul Square, or about 20,000 square meters. Other tenants include Mercedes-Benz Korea and SK Planet Co. Ltd., an internet company of mobile carrier SK Telecom Co. Ltd.
Until recently, Alpha Investment was in talks with Hana Financial Investment Co. Ltd. to sell the property, after its previous negotiations with KB Securities Co. Ltd. had broken down over differences in price and funding conditions. JPMorgan is advising on the sale.